Just when you thought the Faire shinies could not possibly become more epic! (I hope you’re sitting down.) 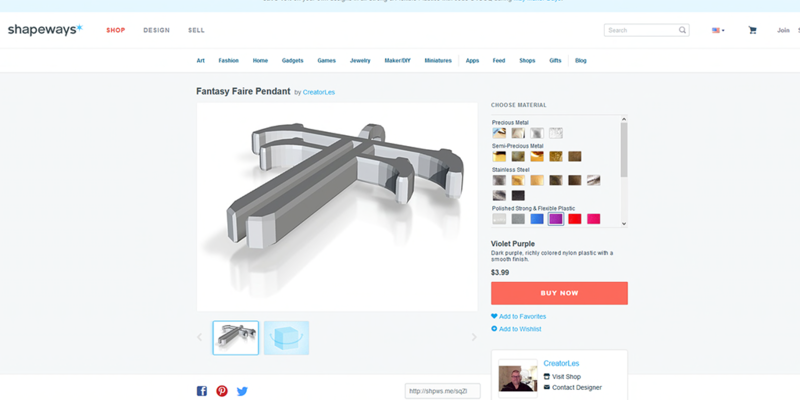 There’s Fantasy Faire logo pendants available both in Second Life and in the world behind the screen! Les Hall has a store in Asperatus where he has these marvels for sale in-world, but you can also purchase a 3D printed version from his Shapeways shop here. All proceeds benefit Relay For Life. Join us in delightful blurring of reality and virtual reality: show your Faire-support in both worlds!